I really want to do some creative things with the kids on Valentine's day and I have a few ideas up my sleeve. But what would Valentine's day be without some goodies? So here's a recipe I'll be trying out with the kids. Don't those look like fun? Do you have a recipe you'd like to share? 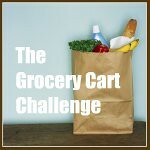 Please link directly to your post, not your homepage and please include a link back here to the Grocery Cart Challenge. 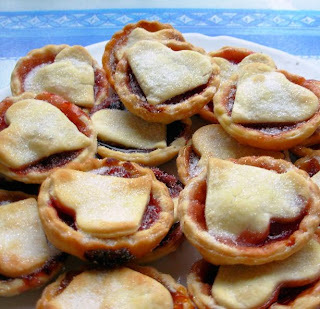 I love the tarts - they are perfect for Valentine's Day! Thank you for hosting, and have a lovely weekend! Those tarts are adorable! Thanks! What an adorable name for those tarts. Sounds easy enough too. I think I have some black currant jelly in the fridge. Time to put it to good use. Thanks. I actually got brave and made these and they were easy and so much fun....like little works of art! I made them the centerpiece of the dinner table, sprinkled candy hearts around the table, put ice water in stemware and lit a candle! 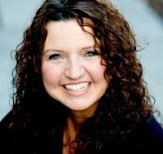 My teenage sons and husband were so impressed! Thank you so much for the idea - once again you've brightened my day!